THE HAGUE, Netherlands Richard Nieuwenhuizen was doing what he loved: Watching his son play football and helping out his local club by running the touchline as a volunteer linesman. On Monday, the 41-year-old father's passion for football cost him his life. Prosecutors announced Tuesday they are charging three players, two 15-year-olds and a 16-year-old, with manslaughter, assault and public violence for alleged involvement in a vicious attack on Nieuwenhuizen after a youth match between two local clubs, Buitenboys and Nieuw Sloten. The players, whose identities have not been released, will be arraigned Thursday at a closed-door hearing. Prosecutors have released no details of a possible motive and Buitenboys club chairman Marcel Oost said the reason for the attack was not certain. "We still don't have a clear picture yet," prosecution spokeswoman Brigit Haan told The Associated Press. The deadly assault sent shock waves through the football-mad Netherlands, with the sports minister, football association and coach of the country's most storied club, Ajax, expressing disbelief and discontent. The attack hit at one of the foundations of Dutch youth sport - the participation of parents. On any given weekend, at thousands of sports grounds across the Netherlands, parents are the engine that powers youth sport. They volunteer for everything from brewing tea to marking out lines on fields and wielding whistles and flags as referees and linesmen. In the overwhelming majority of matches, players and parents enjoy the sport and then have a drink together in the clubhouse. But sometimes frustrations boil over into violence after the final whistle. Amsterdam alderman Eric van der Burg, whose portfolio in the city covers sports, said the team from Nieuw Sloten had been in trouble twice before, once for verbally abusing a referee and once when a player got into a fight with a spectator. The player involved in the fight was suspended by the club, Van der Burg told the AP in an email. He said the city already has an agreement from four-time European champion Ajax at the top all the way down to small local clubs to prevent aggression on and around fields. "It's important that parents but also the professional players give good examples how to behave," Van der Burg said. "Sports should be fun." Even FIFA President Sepp Blatter weighed in on the national debate about how such an attack could happen. 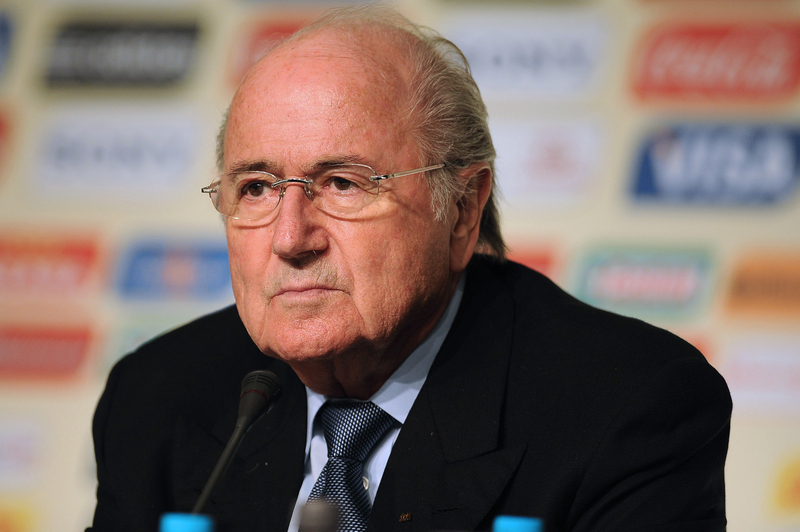 "Football is a mirror of society and sadly, the same ills that afflict society - in this case violence - also manifest themselves in our game," Blatter said Tuesday in a statement. "Nevertheless, I remain convinced that football - through the example set by the tireless efforts of people like Mr. Nieuwenhuizen - is a force for good, and we must continue to use its positive example to educate people against these wrongs." Prosecutors say a group of Nieuw Sloten players surrounded Nieuwenhuizen after the match Sunday, kicking and punching him. Nieuwenhuizen initially appeared to have recovered from the assault at the club whose fields are squeezed into an industrial neighborhood of Almere, a fast-growing commuter city just outside Amsterdam. He went home and lay down, but returned later to watch another game. It was then that he collapsed and was rushed to the hospital. A day later, with his family surrounding his hospital bed, he died. A few hours later, decorations marking Wednesday's St. Nicholas day - a national celebration similar to Christmas - were still hanging at the Buitenboys clubhouse as team members wept and consoled one another. Nieuw Sloten immediately banned the players involved and scrapped their team from the league as well as canceling all matches for the coming weekend. As a wave of grief swept over the football community, another Amsterdam club, TOS-Actief, said on its website it was canceling all matches for the weekend. "By doing this, TOS-Actief is taking a clear stance against excesses in football," the club said. "We say stop violence on and around the pitch." Van der Burg proposed canceling all amateur matches nationwide for the coming weekend. A delegation from the Royal Netherlands Football Association visited Buitenboys on Tuesday to discuss "a fitting way to pay tribute" to Nieuwenhuizen and express support for the club. Nieuwenhuizen's death came almost exactly a year after a Dutch amateur footballer fatally kicked a 77-year-old supporter following a match.